Patterson knows he has slim odds of beating his cancer diagnosis, but he’s not giving up. 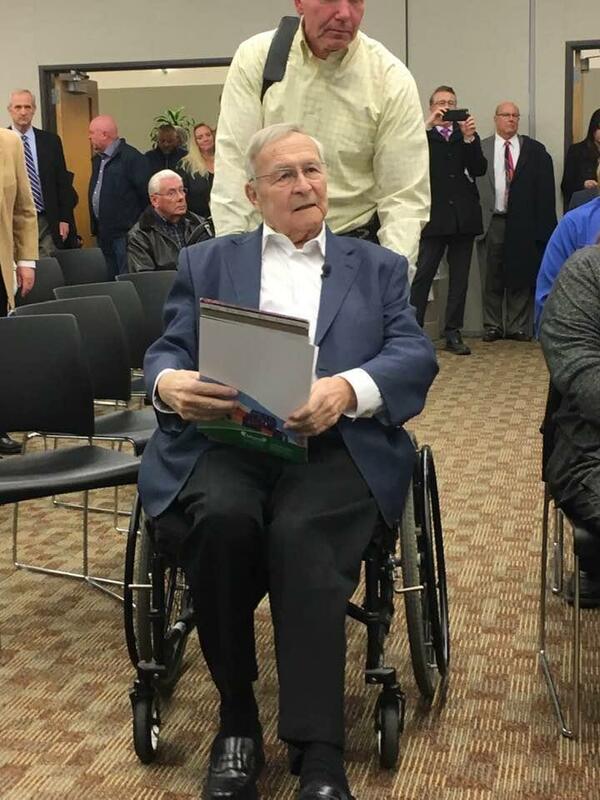 Patterson, an 80-year-old Republican, is a political institution in Oakland County and a divisive figure in Metro Detroit. He first made his name in the early 1970s as a lawyer who fought attempts to racially integrate Pontiac schools. In 1973, Patterson became county prosecutor. He’s been county executive since 1993. In more recent years, Patterson has become known for keeping Oakland County government fiscally sound with long-term budgetary planning. He’s fought against some efforts build up more regional systems across Metro Detroit, such as the Great Lakes Water Authority and more extensive public transportation. And he’s been aggressive about seeking more business investment, particularly foreign investment, in Oakland County. Patterson is perhaps best known for his pull-no-punches style in speech and politics, mixed with a sometimes caustic sense of humor. He’s repeatedly made some incendiary comments about the city of Detroit, comments that he repeated in spades in a 2014 profile. After a serious car accident in 2012, Patterson also become a fierce opponent of undoing Michigan’s no-fault auto insurance system, with its unlimited coverage for catastrophic medical costs. Patterson said he intends to keep fighting to preserve that coverage, countering a push for wide-ranging changes in Lansing. Patterson says his chief longtime deputy, Gerald Poisson, will step in for him to make sure county operations run smoothly as he undergoes treatment. If Patterson were to die or step down before his current term expires, Poisson would temporarily hold the seat until the county board of commissioners appoints a successor or calls a special election. Macomb and Oakland counties’ leaders want the public to support a millage renewal for regional bus service that will be on the ballot this summer. Mark Hackel and L. Brooks Patterson also want their constituents to know that millage has nothing to do with a plan to expand transit through the Southeast Michigan Regional Transit Authority (RTA) — a body both men say they now favor abandoning in favor of strengthening that existing regional bus service, the Suburban Mobility Authority for Regional Transportation (SMART).